The debate about what makes a good sandbox game is as old as the term itself, and everyone seems to have a different view on where the gameplay priorities should lie. Some insist that a proper sandbox must have open-world PvP everywhere and even that a brutal scheme of item loss on death is essential. Others point to games that prioritise world-building and environment-shaping tools that put the focus on collaboration over conflict, or that focus on exploration of environmental content. I would argue that the specific gameplay is less important than how actively a game encourages emergent gameplay, and in that regard I believe the most important feature is a complex player-run economic system. EVE Online‘s core design philosophy is to put lots of players in a box with limited resources and see what happens, the result being resource-driven conflict, complex economics, and sociopolitical shenanigans that often mirror the real world in shocking detail. Much has been made of EVE‘s economy over the years in both the online and print media, and it’s even been the target of research papers and studies in sociology and economics. EVE isn’t the only sandbox game out there, and it certainly isn’t the only one with an interesting economy, but its single-shard server structure makes it an intriguing case and has led to some interesting gameplay over the years. In this edition of EVE Evolved, I look at how EVE Online‘s single-shard server structure has affected the game’s complex economics, politics, and professions. 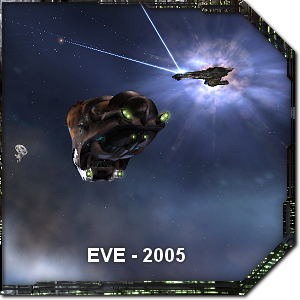 Back in 2004 when I started playing EVE, the primary driver of conflict seemed to be simple competition over shared resources. 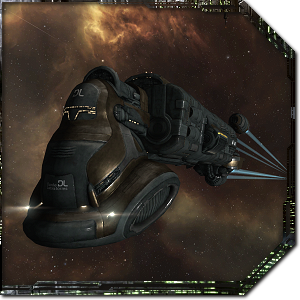 Corporations in high-security space ran frequent mining operations, while those willing to risk mining in low-security space or nullsec required additional combat ships and warning scouts to protect from attack. A virtual arms race was underway all across the game as corporations attempted to get their members into combat-ready battleships as quickly as possible, and major PvP defeats were often followed by corp mining operations in order to rebuild the fleet. Large corporations unofficially claimed areas of space and protected their asteroid belts fiercely, declaring war against anyone muscling in on their turf. In low-security space, pirates frequently scoured lowsec asteroid belts in search of poorly defended miners to kill or ransom, and they also camped particular star systems on popular trade routes to catch haulers and unwary travellers. Corporations like Body Count Inc. and Sharks With Frickin Laser Beams had begun specialising as mercenaries at this point, taking sides in major wars for a price. Much of this gameplay is still the same today, with the major exception that people today tend to grind for ISK and purchase what they need from the market rather than actively defending and gathering resources. All of the war and conflict in EVE is driven by the fact that it has a single-shard server with no instancing. If pirates have locked down a star system you want to haul through, for example, you can’t just switch to another instance or channel to bypass them. The entire notion of living in an area or meaningfully controlling territory also hinges on the fact that there’s only ever one copy of any particular area, forcing players to engage with the area’s inhabitants directly via combat or politics. It’s this abiding persistence that sharded or instanced sandboxes lack, and it has far-reaching consequences for gameplay and economics. Any territorial sandbox will eventually develop its own complex internal politics as groups tend to form mutual defense or non-aggression pacts with neighbours in the face of common threats. 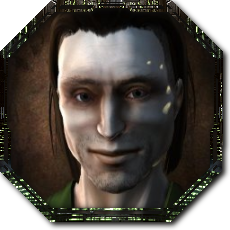 The effect of this type of politics is exponentially amplified in a single-shard game, however, as every action has the potential to ripple out and impact the gameplay of every player. 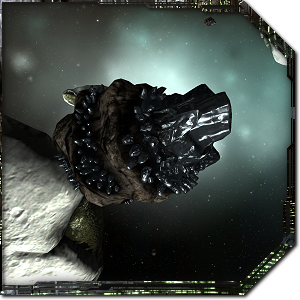 Conflict in regions that typically export ore have historically reduced the supply of minerals to the market, and alliances building war chests in preparation for invasions can seriously drive up prices of certain ships. Even the demand for and use of mercenaries arose naturally as an emergent consequence of intense political ambitions in a resource-based economy. The fact that EVE has a single server also means that players can’t re-roll a character on another server or transfer a character off the server, making reputations important and leading to political grudges that can last for years. Probably the most important factor in EVE‘s complex economic gameplay is the fact that items such as ships and modules are destructible. While a killed player will just wake up in a fresh clone with all of his skill points still in his head, the ship is destroyed and half of the modules are destroyed (the other half dropped as loot). Some would call this a harsh death penalty, and I’ve even heard it referred to as an example of permadeath in MMOs, but I think that’s overstating the issue. EVE Online‘s death penalty essentially reduces all deaths to a quantifiable financial loss plus the effort involved in buying and fitting a replacement ship, and players are naturally warned not to fly anything that they can’t afford to replace. The alternative would be a PvP-based sandbox game without gear loss, which could inadvertently give players huge advantages based on wealth. On the global scale, the destruction of assets is a vital resource sink that removes minerals and ship components from the game on a regular basis. CCP’s monthly economic reports have shown that about a trillion ISK worth of minerals are mined each month, and that about the same value in ships is destroyed. The regular destruction of assets keeps the value of professions such as mining and manufacturing stable and so keeps those types of gameplay rewarding. MMOs without item destruction often suffer from a rapid deflationary problem in which the available supply of items grows over time to the point that those items and the professions that make them become worthless. Even EVE has suffered this with items that aren’t consumed or destroyed with use such as data interfaces and original blueprints. In EVE Online‘s earliest years, it was a lot more common for players and corporations to mine their own ore and build their own ships. As the playerbase grew, the markets began to hit a kind of critical density where enough people were buying and selling that you could always find what you wanted for sale. A main trade hub formed in the system of Yulai at the centre of a super-highway stargate system connecting the four main empires. Trade then moved to the second largest trade hub in Jita when the superhighways were removed, and Jita has housed by far the largest trade hub ever since. This is all a direct consequence of having a high critical density of players in the same shard. The most important factor in keeping EVE Online‘s economy player-run is the fact that every item is physically located somewhere and there are no ways to magically transport them elsewhere. You can buy anything you like on the market but you’ll have to pick it up where you bought it and haul it to where you want to use it. There’s so much value in the convenience of having an item in a particular location that it’s needed that there’s ISK to be made in identifying a need and filling it. 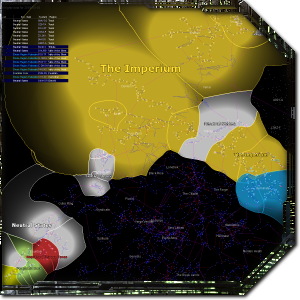 The laws of supply and demand neatly fill in the gaps in EVE‘s distributed marketplace, and natural trade routes have formed between trade hubs and places where items are in high demand such as faction warfare zones and mission hubs. With several sandbox games on the near horizon, there’s been a lot of discussion lately about what makes a great sandbox. Personally, I think the most important factor is the game’s capacity for emergent gameplay, particularly real politics and complex economics. Developers will have to consider factors such as the long-term effect of death penalty on the economy, ways to regularly remove resources from the game, and the emergent trading and piracy that results from having a distributed marketplace. Of all the decisions that play into these factors, by far the largest and most potent is the critical density of players provided by a single-shard server model or at least a server that can support hundreds of thousands of players within the same universe. EVE Online has proven that a single-shard server has the potential for incredible emergent gameplay, though it’s understandably the most technically difficult server model to pull off and may not be suitable for high-action games. It’ll be interesting to see how each of the upcoming sandbox MMOs chooses to tackle the issues discussed above and whether any will attempt to replicate EVE‘s model.